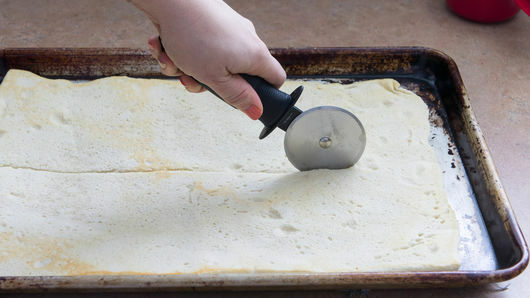 Unroll dough onto cookie sheet; press into 14x9-inch rectangle. Bake 5 minutes. Remove from oven. 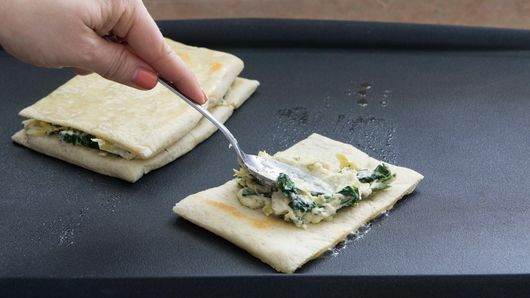 Use spatula to carefully flip dough over. Return to oven; bake 5 minutes longer. Remove from oven; cut into 8 equal-size rectangles. 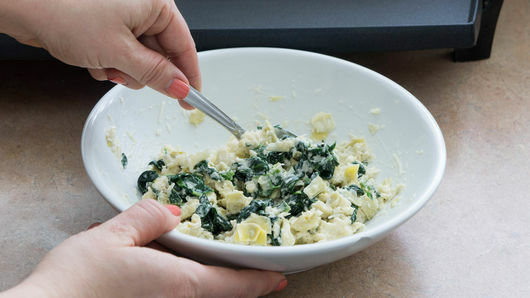 In medium microwavable bowl, stir together spinach, artichokes, mayonnaise, garlic powder and Parmesan cheese. Microwave on High 30 seconds. Stir; microwave 30 seconds longer. Spread butter on one side of 1 slice of pizza dough; place buttered side down on hot griddle. Top with one-fourth of the spinach mixture. Butter another slice of pizza dough; place buttered side up on spinach mixture, forming a sandwich. Cook about 2 minutes. Turn sandwich; cook 2 minutes longer. Repeat with remaining pizza dough slices and spinach mixture to make 3 more sandwiches. 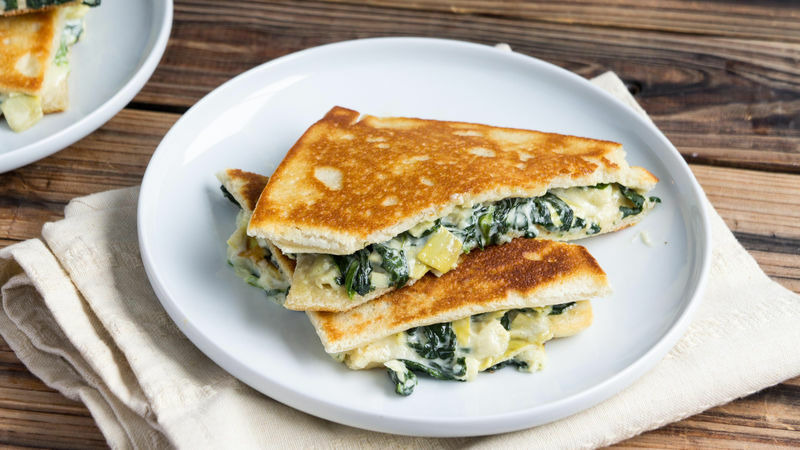 Add a 1/2 cup of mozzarella cheese to the spinach mixture for an even cheesier experience. Instead of making sandwiches, make a pizza! Add the spinach mixture to the full pizza crust and continue baking until bubbly all over.